This article was originally published in This Magazine’s Gender Block blog. 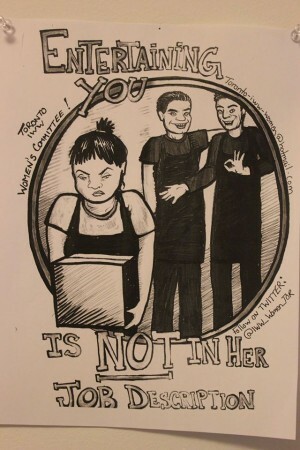 Though the site says there is no evidence proving women are too soft at work, there is evidence to the contrary: “In fact some studies show that women in positions of power are forced to be more cut-throat in order to keep the respect of others and to be considered one of the boys.”The resource page also says women make up the majority of victims of sexual harassment in the workplace; the offenders, according to the site, could be supervisors, fellow workers, customers, suppliers and vendors. The committee’s meeting spaces are inclusive to all woman identified and gender non-conforming people. Though it is encouraged, a committee member does not have to joinIndustrial Workers of the World, a member-run union open to all workers.